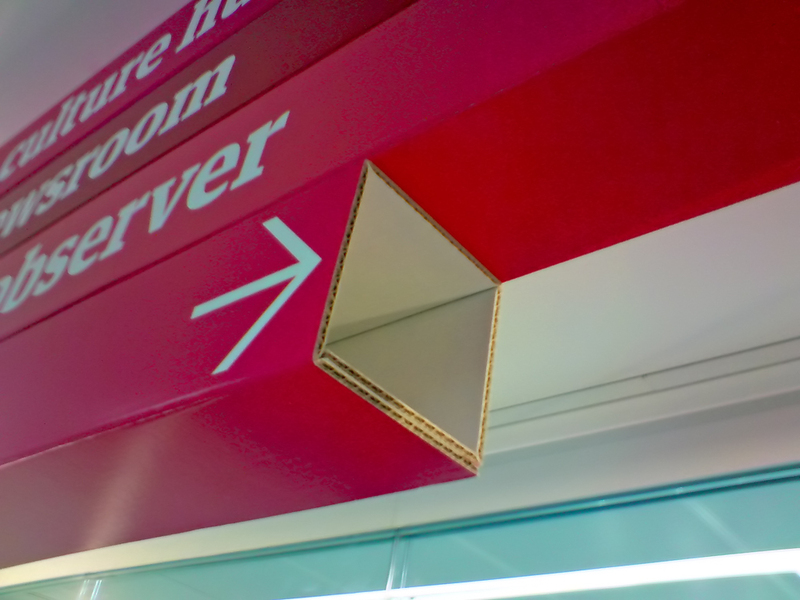 As The Guardian newspaper and websites move into their new offices in London’s Kings Place, Mark Porter, the paper’s creative director, has had the opportunity to commission new signage for the building from Cartlidge Levene, noted for their wayfinding design for the Barbican, Selfridges and the Oval. 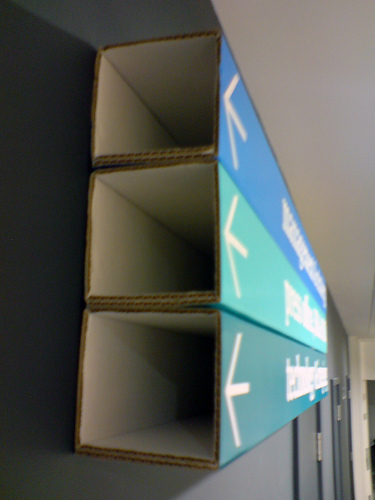 Not surprisingly, the signs use the Guardian’s typeface family designed by Paul Barnes and Christian Schwartz, and ranges from signs silkscreened on folded cardboard (above and below) to large vinyls and digital displays. 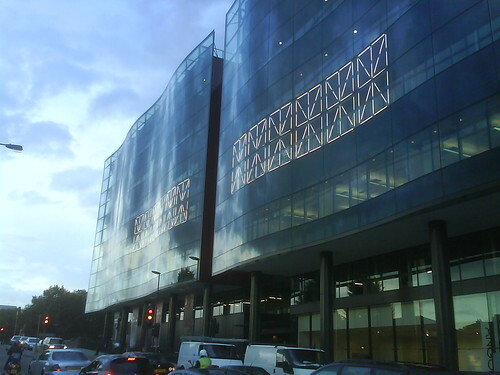 (Sibling Sunday newspaper The Observer is also moving to Kings Place, bottom.) Mark shows and tells more about the project on his site markporter.com. 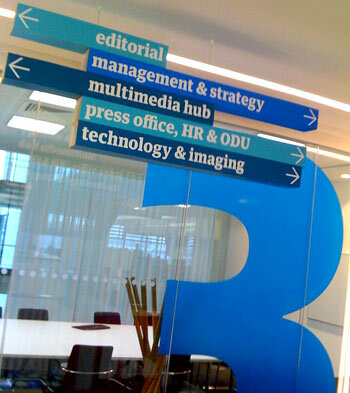 Meanwhile the type department wonders what’s planned for Alan Kitching’s big typographic wall in the paper’s soon-to-be vacated old reception in Farringdon Road . . .